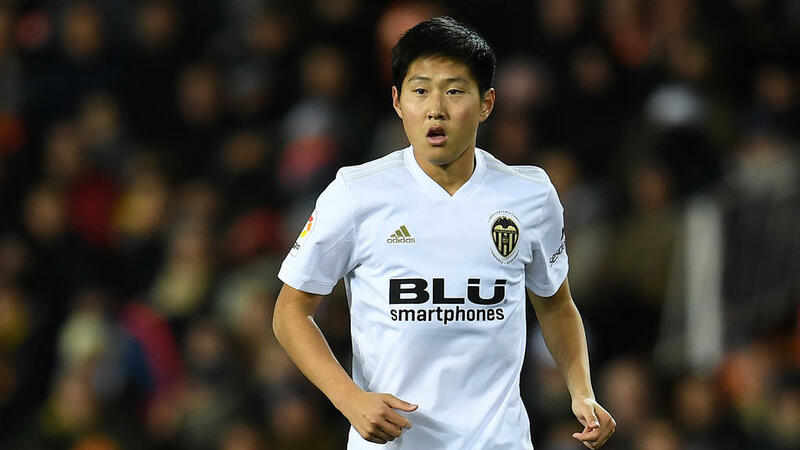 Valencia have promoted South Korean teenager Lee Kang-in to their Liga first team, the Spanish club announced on Wednesday. Lee, who turns 18 next month, will make the step-up after playing for Valencia's reserve team, VCF Mestalla. "Valencia CF have registered Kang-in Lee on Wednesday as a new player of the first team squad," a club statement read. "The young Korean footballer will wear the number 16 shirt." After joining Valencia's youth set-up in 2011, Lee signed a permanent contract last summer until 2022. He made his senior debut in October, in a 2-1 win over CD Ebro in the Copa del Rey, and then appeared in La Liga earlier this month, against Real Valladolid and Villarreal, both times as a substitute. He will now join Marcelino's squad on a regular basis as Valencia, sitting seventh, look to break into the Champions League qualification places.